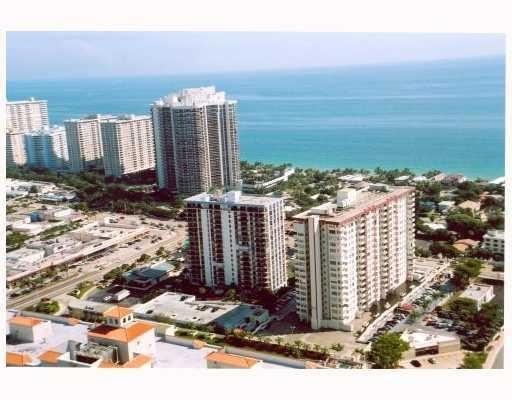 Berkley South Condominium just across from Fort Lauderdale Beach has just receieved a new paint job and looks great. Updates to the lobby of Berkley South and to many of the common areas prove that Berkley South is a well cared for older being that presents a great value in the Fort lauderdale condo market. Price points at Berkley South may be some of the lowest in the beach area, so plan a vist today to Berkley South. Berkley South has seen inventory drop dramatically as the Fort Lauderdale Real Estate market has begun to turn around so if you have been waiting for that beach area bargain, a great place to start your search is Berkley South. As we enter te next real estate cycle in the Fort Lauderdale real estate market , one of shrinking inventory, properties such as Berkley South, with a superior location will certainly benefit. Read more about Berkley South Condos in Fort Lauderdale, Florida. Berkley South, Directly on A1A, and 30th street, a short distance to the beach, and famous intracoastal restaurants such as Shooters. Built in 1975 Berkley South Condos consists of 230 residential units. From sunrise to sunset Berkley South Condos have views of either the downtown City of Fort Lauderdale light, or the intracoastal waterway or the ocean. Berkley South Condos has gone through many updates recently. The exterior of the building has been recently completely painted, and their new lobby is a beautiful entrance for those who call Berkley South home. Many owners have started to renovate and are installing hurricane resistant windows, new kitchens and baths further adding to the appeal of Berkley South. At Eric Miller and Associates, "We're here to help" with your next Berkley South Condo purchase or sale. Contact us directly at (954) 383-8170. The data relating to real estate on this web site comes in part from the Internet Data Exchange program of the MLS of the Miami Association of REALTORS®, and is updated as of April 26th, 2019 at 8:24am EDT (date/time). Listing information last updated on April 26th, 2019 at 8:24am EDT.